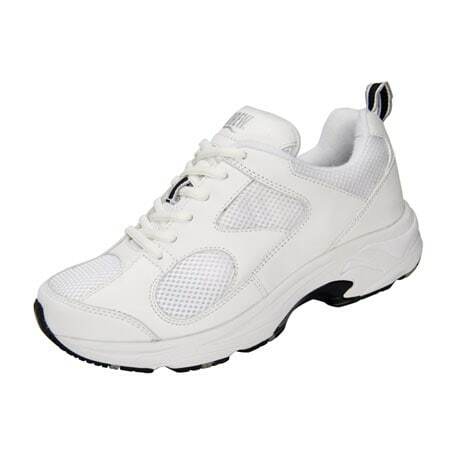 Breathable mesh and fabric linings mixed with buttery soft leather uppers will make your feet sigh with contentment when you slip into these performance-packed athletic shoes. Plus Fitting System® includes two removable footbeds for added and double depth, allowing for extra room for hard-to-fit feet or for accommodating custom orthotics. Ultra-padded to ensure maximum comfort, the Flash II utilizes a dual shank system for superior lateral stability and arch support. 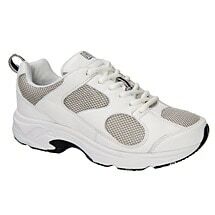 Slight rocker bottom helps to propel the foot forward during walking while the firm heel counter stabilizes. Removable, dual-density insole with Drilex® cover both conforms to your feet and wicks away moisture. 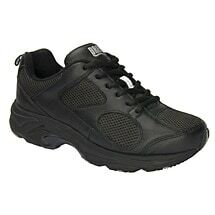 Durable rubber outsole is both lightweight and flexible, allowing you to step confidently. Best for those with Metatarsalgia (ball of foot pain) and normal arch.